Every summer, hundreds (okay, maybe dozens) of cowboys head to cow camp. They leave headquarters to follow the cattle high up into the mountains for a few months. The air is cooler, the feed is taller, and the water flows more abundantly at these higher elevations, allowing the ranch to most efficiently use its natural resources. But, before a cowboy can live at cow camp, he must first get there. Some camps are accessible by pickup and trailer. 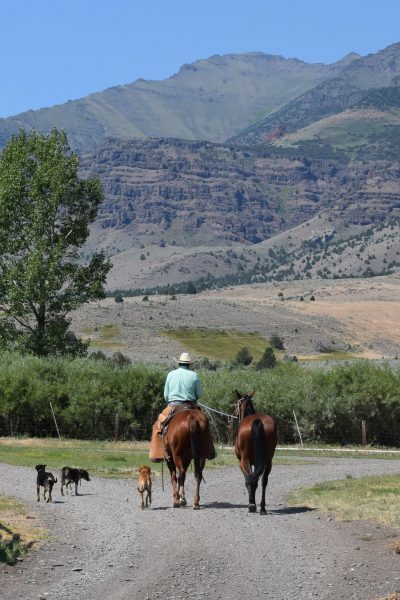 Many camps, like the one nestled at the top of the Steens Mountains in southeastern Oregon, are accessible only by horseback or ATV. Here, a cowboy rides one horse while leading another up to camp. He already trailed the rest of his string to the mountain, and returned back to headquarters for one more trip to collect his catch dogs. It’s a five-hour ride up the mountain, completed at a walk with lots of rest stops for the horse. That air gets a little thin for equine hikers, too. You’ll notice he is not packing a bedroll on the bay horse, because 1) this isn’t 1897, and 2) he already transported his bed, extra clothes, and groceries up to camp via ATV. 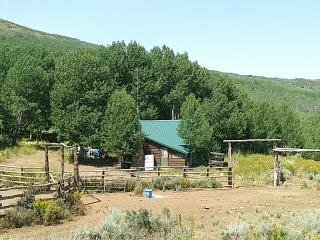 This is a typical cow camp: Small house surrounded by a grove of trees and a rail fence. Notice the absence of power lines. This establishment is independently powered by a generator with gas lanterns provided by the management for after-dark reading light. 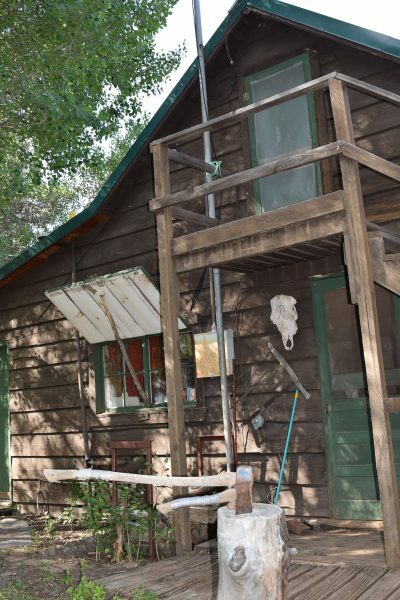 This particular camp has wooden storm windows that protect the glass windows from severe winds and winter weather in the off-season. Two stories featuring an outdoor staircase make for additional private sleeping accommodations. A cow skull decorated with the ranch’s brand and two axes stuck in a huge stump welcome residents and visitors alike. This is starting to sound like a real estate ad. Just to clarify: This is NOT an official listing. 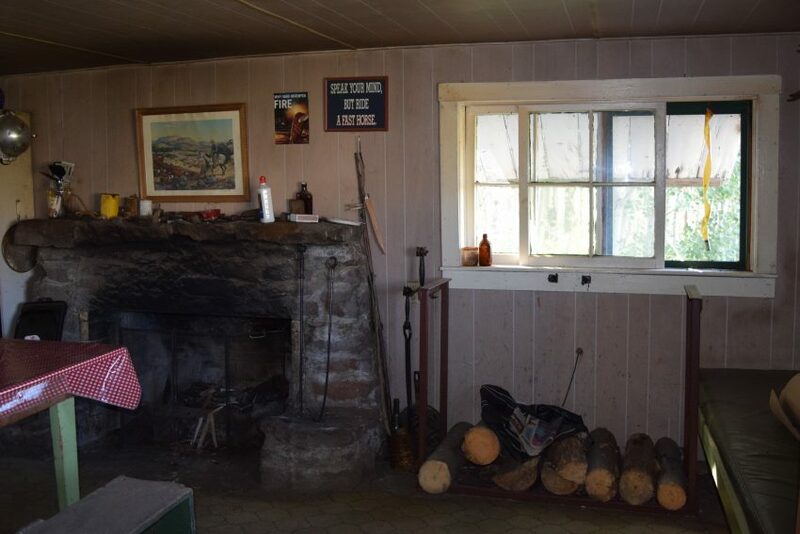 A sooty ceiling, stack of firewood, and a fly strip in the window complete the rustic décor of the mountain cabin. The catchy signs are optional, but the fly strip is a requirement for any home on the range. Backup packages are recommended. 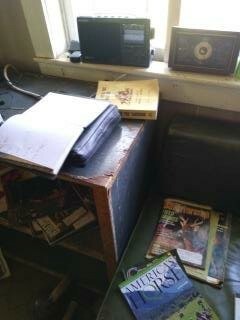 An AM/FM radio, stack of magazines dating from the 1990s, and collection of paperback cowboy books are a must for any cow camp. New residents donate to the permanent stash as they are able, and thus next year’s isolated cowboy will always have something new to read, even if it’s old. Western Horseman, America’s Horse, and Reader’s Digest remain perpetual favorites. 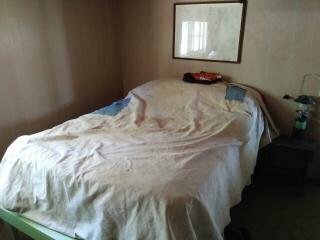 The bedroom is simple: It’s basically just a bed. An old map of the region serves as the main decoration, and a gas lantern provides any nighttime illumination needed or desired. 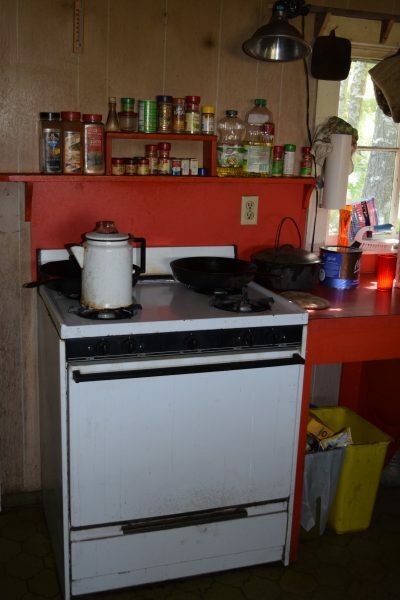 Ah, the indoor stove! Such a treat for a cowboy in camp to fire up a propane burner within the comfort of his own little home. There’s a fire pit and small barbeque outside for days that are just too hot to turn on the stove, though. You’ll notice this cowboy has a wide array of spices, some of which aren’t expired. A stone’s throw from the front door of the cabin, we have the saddle shed. The inside of this one is lined with sheets of tin, making it weather- and rodent-proof. Remember, humans only inhabit this camp roughly four months each year, so protecting their belongings in their absence is a top priority. 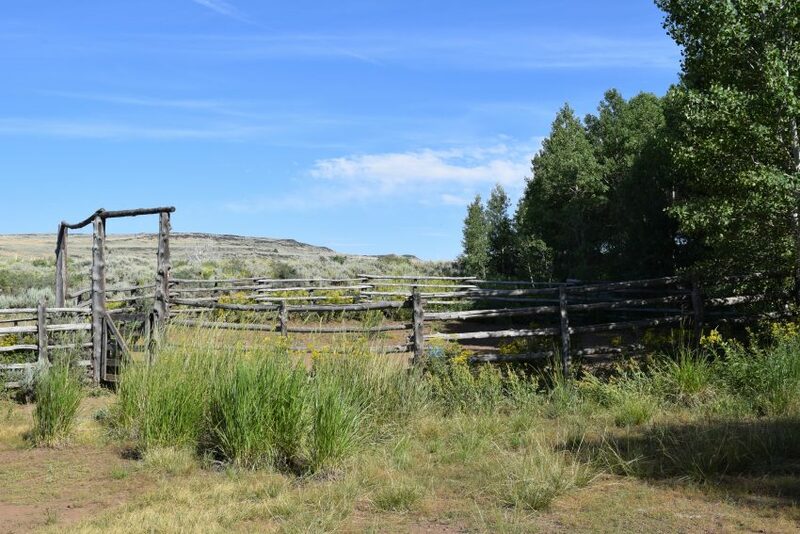 And of course a cow camp wouldn’t be complete without a wooden round corral. This one is conveniently large enough to start a colt or hold the cavvy at wrangling time. 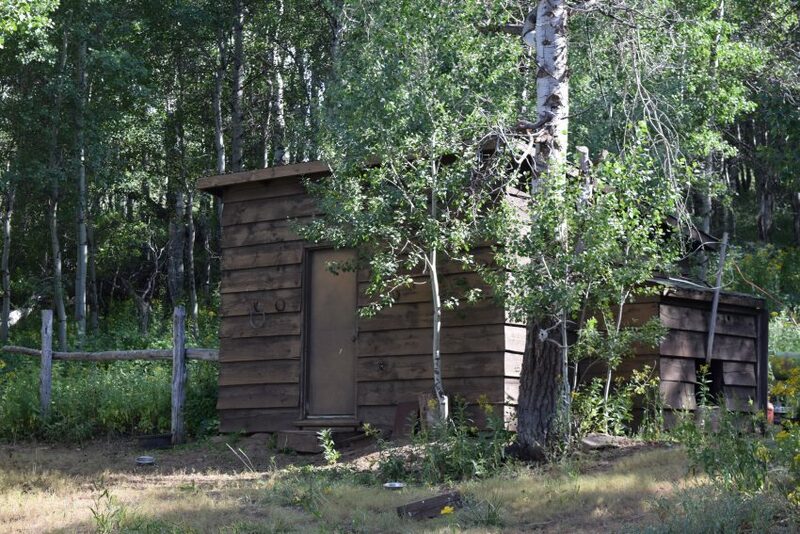 Plus, it looks old and rustic and cool, the three main tenets of a proper cow camp.